March 17-18 Meltdown Games at Appalachian Ski Mountain, the classic end of winter celebration. A full weekend of crazy events you won’t see any other time of the year, with lots of snow, sun, and skin. All events are free with your ski ticket. Take your best shot at tons of prize categories. Appalachian Ski Mountain is closed for the 2011-12 season as of 5 PM on March 18, 2012. Cataloochee Ski Area has closed for the 51st season of skiing and riding as of Sunday, March 18 after 110 days of skiing and riding. Today at Appalachian Ski Mountain: All slopes were groomed overnight, with 9 open slopes showing great coverage and soft, spring-like snow. The Appaljack and Appal Jam Terrain Parks are open as well with a variety of jump and rail/box features for all abilities. Sunny days can be more fun for skiing & snowboarding. Warm days make the snow softer and slower, perfect for learning or improving. Wear sunglasses instead of goggles. Ice Skating is snow closed for the season. March 15 - Cataloochee Ski Area - Due to severe storms in the area, there will be no night skiing tonight. The Cat will reopen at 1:00 PM on Friday for twilight and night sessions. 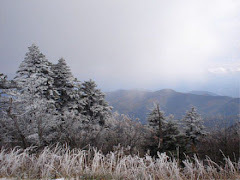 March 14 - last day to ski Sugar Mountain Ski Resort this season. Sugar Mountain Resort will close for the season at 3:30 PM. The he slopes will open at 8 AM for early morning runs. 25% savings on lift tickets and last chance to get Spyder Sample deals. Season ending party from 3 until 5 PM on the deck. Enjoy local bluegrass favorites, The Johnson Brothers, "pickin and grinnin". Fun and beautiful weather are predicted. Tubing and Ice Skating are now closed for the season. ASM continues to operate with 100% of terrain, now with late season rates for all guests. Now is a great time to get out on the slopes with discounted rates, springlike temperatures so you don’t have to bundle up, and plenty of blue skies and sunshine. March 11 - Today is the last day open at Beech Mountain Ski Resort for the 2011-12 season. Lift tickets will be FREE as a courtesy to valued and loyal customers!Stop by the ticket window on Sunday for your FREE lift ticket! Sunday, March 11, 2012 will be the last day of operation for the 2011-12 season at Beech Mountain Ski Resort. Session hours are 9a AM to 430 PM. Lift tickets will be FREE as a courtesy of to our valued and loyal customers. This Saturday, March 10, 2012 Beech Mountain Resort will host their first Dual Slalom Qualifier. To sign up for the event, visit www.bikereg.com. In conjunction with the awards ceremony, live music by Beech Mountain's favorite BPL will begin at 4 PM in the View Haus cafeteria. Skiing is day session only, extending session hours from 9 AM to 6 PM. An all day ticket, running 9 hours, is only $30. Half-day sessions will run from 9am to 1pm, and 1pm to 6pm, for the low price of $20. Today at Beech Mountain Ski Resort: Skiing 10 slopes with 4 lifts on a base of 18-44 inches. Day sessions only, 9 AM - 6 PM. An all day ticket, running 9 hours, is only $30. Half-day sessions will run from 9am to 1pm, and 1pm to 6pm, for the low price of $20. Prices and hours will remain in effect for the remainder of the season. Today at Sugar Mountain Ski Resort: Skiing 10 slopes with 3 lifts on a base of 18-46 inches loose and frozen granular surface. March Madness continues with 25% Savings on lift tickets, rentals and lessons. Tubing and Ice Skating are open for all sessions today. Today at Appalachian Ski Mountain - Skiing 100% of the slopes and snowboarding terrain for day and night sessions on a base of 38 - 68 groomed surface. Buy your 2012-13 season membership before March 25 and ride free for the last 5 weeks of the 2011-12 season. With excellent conditions, coverage and base depth over all slopes, look for great riding for the next several weeks to come. Today at Cataloochee Ski Area - skiing 12 slopes with 3 lifts on a base of 20 - 52 inches groomed surface. Cataloochee will operate 1 PM - 10 PM, Monday through Friday and 8:30 AM - 4:30 PM, Saturday and Sunday, through the end of planned daily operations for the season on Sunday, March 25. Duringthe late season operating schedule, twilgiht and night ski Monday through Friday and day ski only on Saturdays and Sundays. Hawksnest Snow Tubing begins its weekend-only schedule this week. Snow tubing will be open on Friday and Saturday with snow tubing sessions at 10am, 12pm, 2pm, 4pm & 6pm. On Sunday, the snow tubing sessions will be 10am, 12pm & 2pm. Zipline tours will be open daily, weather permitting. Snowmaking is in progress at Cataloochee Ski Area, Appalachian Ski Mountain, Beech Mountain (plus 5 inches natural snowfall) and Sugar Mountain Ski Resort (6 inches natural snow). Skies are clear with cool temperatures providing great skiing conditions. Wolf Ridge Ski Resort is now closed for skiing for the 2012 Season, Snow tubing will continue as temperatures allow - call for status updates. March 4 - The BIG One Day Season Pass Sale at Cataloochee Ski Area. Pass prices on Sunday, March 4th will be the lowest of this year and next. You will be able to ski for the rest of this season and the next on the pass you purchase on today. These special prices (including the midweek season pass for $179) will be available from 8:30 AM - 4:30 PM only on Sunday, March 4. Only 500 of the $179 midweek passes will be sold. You can purchase passes in person at Cataloochee, online, or call in between the hours of 8:30am-4:30pm only. The next pricing tier begins on March 5 and continues through March 31. Pass pricing will go up on April 1. Seasonal ski and snowboard rentals will available for order beginning on Sunday, March 4 as well. Sugar Mountain Ski Resort - head for the cafeteria between 4 PM and 6 PM to enjoy Boss Hawg playing their signature North Carolina Bluegrass music. Today at Cataloochee Ski Area: Skiing 12 slopes with 5 lifts on a base of 24-50 inches granular surface. Upper Snowbird Trail, Cat Cage, Upper Turkey Trot and Upper Over Easy will not be open and there will be advanced skiing terrain from the top of the mountain only. Today at Appalachian Ski Mountain: Skiing 12 slopes with 6 lifts on a base of 40-70 inches groomed surface. Today at Beech Mountain Ski Resort: Skiing 9 slopes with 4 lifts on a base of 22-50 inches wet granular surface. Today at Sugar Mountain Ski Resort: Skiing on 10 slopes with 3 lifts on a base of 22-48 inches loose and frozen granular surface. Ice skating is open and snow tubing is on 3 lanes. Wolf Ridge Ski Resort will be closed today due to predictions of possible thunder storms in the area. Weather permitting, the Wolf will re-open on Saturday, March 3. Scaly Mountain Outdoor Center is open for tubing and bungee trampoline jumping, 9 AM to 8 PM. BT & The Invisible Band will be playing in the Restaurant tonight from 7 PM until 9 PM. March 2-4 - Tube World is Open for final weekend: Sessions: 4, 6, and 8 PM. Wee Bowl Childrens Snowplay Area for kids under the 42" height requirement will not be open. March 5 at Beech Mountain Ski Resort - March Madness Begins: Starting Monday, March 5th, 30/20 rate apply (weekday rates) apply all day every day, including weekends.